The first edition of ExpoGusto, hall of wine and food excellences, hosted in Lugano during the last weekend, ends with positive confirmations and big gratifications. Confirmations and gratifications for the new exhibition dedicated to wine and food excellences and their protagonists, that just ended in Lugano. 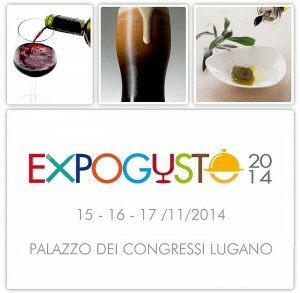 From Saturday 15th to Monday 17th November, during ExpoGusto, more than fifty events have been organized, such as cooking shows, conferences, guided tastings, workshops and live performances, with a format that unites the exhibition area with a rich program of events dedicated to wine and food and their protagonists. The real flagship are the three dinners organized as a fund raising for the G4 Foundation, the Association is aimed to offer to seriously ill children, close to death or with disabilities, the possibility to realize a dream and to forget, for a few hours or days, the difficulties of their daily lives. ExpoGusto involved the local authorities, the most important associations, such as AIS, FISAR, ONAV, ASPI, ASSP and internationally renowned chefs leaded by Aimo Moroni (Chef ambassador of the event) and Corrado Parisi (Chef testimonial of the event). The exhibition has given to many producers from many countries the opportunity to let professionals of the field and the general public from Ticino and northern Italy discover their products, their lands and traditions. 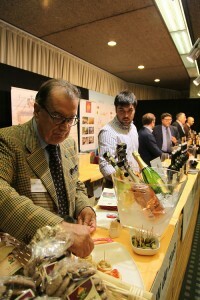 During the weekend, the exhibition was crowded mainly by families and aficionados, whereas on Monday the wine&food hall of excellences was visited by the professionals of restaurant industry, bars, and the students of the Technical Trades School where they are learning how to become chefs, maîtres, barmen and managers. The Congress Palace of Lugano has been divided into thematic areas: wine, an area dedicated to the the best products of the wine field; food, an area dedicated to the products such as pasta, oil, cheese, sweets; beer, the area that hosted Italian and European breweries to represent the excellences of handmade beer; RistoExpoGusto, a restaurant area where the Chefs presented the fine cuisine, sold out in all the sessions. The cooking shows by the Chefs leaded by Aimo Moroni (Chef Ambassador of the event) and Corrado Parisi (Chef testimonial of the event) achieved resounding success. More than twenty great Chefs have been alternating and working side by side to delight the palates of the enthusiasts and the curious ones, making fine cuisine available for everybody. This first edition of ExpoGusto is the starting point for a far wider path that will be full of surprises since next year, the year of Expo 2015. The organizers are already working on a range of events and activities that will develop along all the 2015 in different cities, among which there is Milan, location of Expo 2015, until the ExpoGusto second edition, that will be hosted in Lugano once again. “Right and proper the gratitude to all that have contributed in making these three days of events absolutely special; first among everyone all the people that allowed us to raise funds for the G4 Foundation, the Association” said Giacomo Acciai, one of ExpoGusto organizers “The city of Lugano and the Ticino responded well, both as audience and Institutions; for the 2015 edition we would like a wider involvement of associations and Institutions so that the event might become a steady appointment for the city, that will contribute in promoting and valuing products and territories of excellence”.